Previous exhibitions, made up of winners and finalists selected by the jury, has shown the work of young authors that have gone on to receive international acknowledgement. The 2011 theme focuses on stories that wouldn’t have happened without a rebirth, without an event that changed the course of their history. Photographers are encouraged not to be literal in their interpretation of the theme, but rather to let the theme be a launching point for creative thought and vision. The participants are invited to send an original body of work (between four and 12 images) to develop the theme. The work may be colour or black and white. 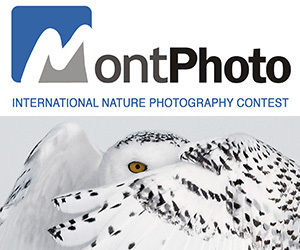 A photographer is allowed submit more than one project. The panel of judges will be composed of David Alan Harvey (photographer, Magnum Agency), Kent Kobersteen (former Director of Photography of National Geographic Magazine), Antonin Kratochvil (VII agency), Alex Majoli (photographer, Magnum Agency), Ute Noll (gallerist, OnPhotography) and Arianna Rinaldo (photo-editor, OjoDePez & D-LaRepubblica). A special mention (Menzione Speciale Food Writers) will be given by three international journalists from three different continents. WinePhoto is organized by Diego Orlando, Fabio Balan and the Town of Mogliano Veneto in collaboration with DRBartstudio and Eniweb. Under the aegis of Regione del Veneto, Provincia di Treviso, Comune di Mogliano Veneto. Second prize will be the enrollment in one of Toscana Photographic Workshop summer classes 2011, free of charge (valued at 1.750,00 Euros) and a selection of fine wines (for the value of 400.00 Euros). Second/Third and eventual fourth/fifth prizes will also be awarded a selection of fine wines valuing 400.00 Euros each. For those countries where it is not possible to send wine because of their laws, an equivalent award in money will be given ELIGIBILITY: Open to everyone Not eligible to enter? - Find contest where you are. COPYRIGHT: All rights to the images will remain property of the participants USAGE RIGHTS: The photos of the 20 selected finalists will be exhibited (a limit of one body of work per photographer), and prints will be produced at the expense of the Organization. Failure to submit a high definition copy of the selected image for the final exhibition will result in automatic disqualification. All participants must grant explicit consent – in the event that their image is selected – to the use of their image by exhibition’s sponsors and for all advertisements solely connected to the competition Winephoto, without recompense to the photographer nor to any third parties. 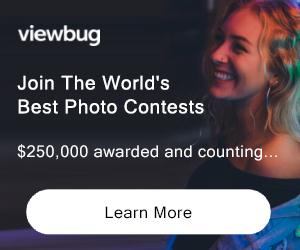 Participation in the contest requires that the author is in possession of the release of the subject photographed to use his/her image, in any form, for the use of which he/she will assume full responsibility.